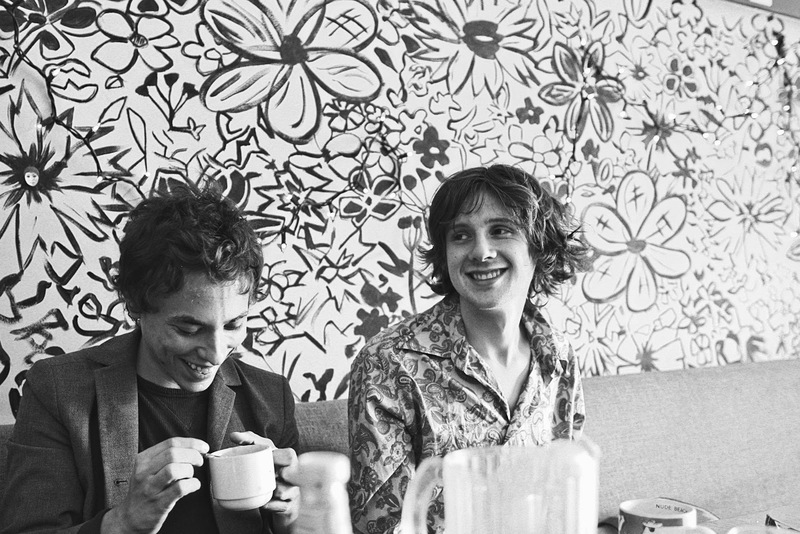 New Music Matters: Foxygen Releases New Video for "Shuggie"
Again my axiom has proven correct -- when I learned that the band Foxygen is touring with two bands I already like, I dug a little deeper and found another fave new song for the next playlist. Foxygen is opening up for Of Montreal in NYC tomorrow night and is also touring with Unknown Mortal Orchestra, see upcoming dates below). KCRW has been giving "Shuggie" some airplay and called the group one to watch at this year's CMJ Music Festival. 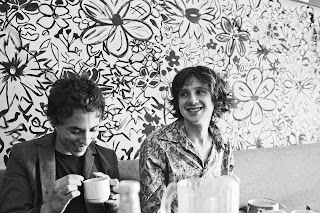 Jonathan Rado (left) and Sam France (right) are the songwriting core of the five piece band that their label JagJaguwar calls a "raw, de-Wes Andersonization of The Rolling Stones, Kinks, Velvets, Bowie, etc." (Another red flag with a comparison to a beloved director!) There's an earthy swagger to France's voice, which leads the journey through the basic discovery of unrequited love. "She don't love me, that's news to me." France repeatedly sings, as if trying to believe it himself. The new official video for "Shuggie," directed by Ulysses///Onasis, follows a shiny black box through a black and white landscape, as well as vague interior, but the song shines brightly throughout. Its melodic backbone is interrupted for a funky instrumental break and then it all meshes into a sing along ending. "Shuggie" is off the upcoming debut album due in January, We Are the 21st Century Ambassadors of Peace & Magic.